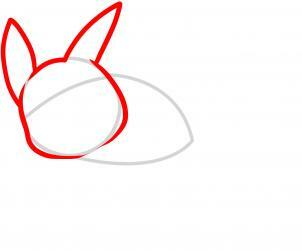 Let us begin by drawing the shape of Pikachu's head and then draw the cone shaped body like so. 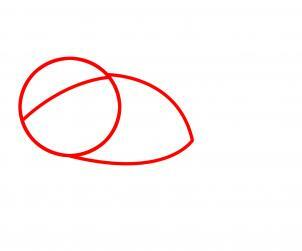 You will then sketch in the facial guideline before moving to step two. 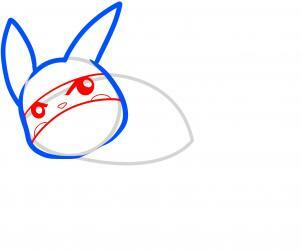 Using the shape you drew in step one, begin sketching out the face and head structure including the ears like so. 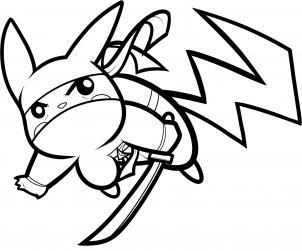 Here you will draw the opening of the ninja mask, and then draw the serious look that Pikachu is giving us all by drawing the eyes, eyebrows, nose and as you can see his round electric cheeks are peeking through. 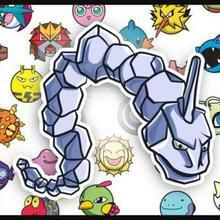 Next, draw his arms, and leg like so, as you can see his leg looks like a nub. Once that is done you will also need to draw the hands and sleeve cuffs. 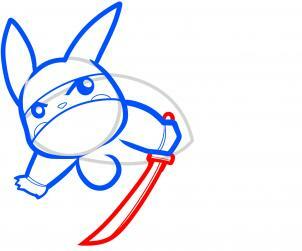 Every ninja needs a sword, so that is what you will draw now. 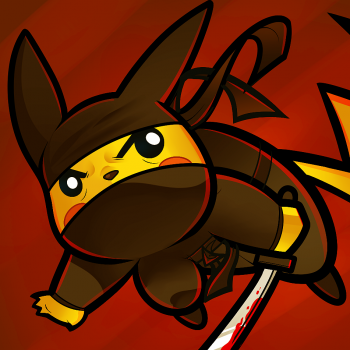 Draw Pikachu holding his katana in an action pose. 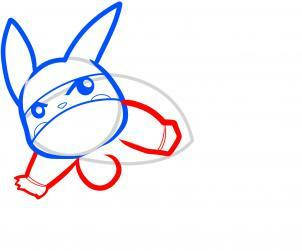 We will be finishing Pikachu's body by drawing the back, leg, and two feet. Draw the sash around his waist, and then move to step seven. 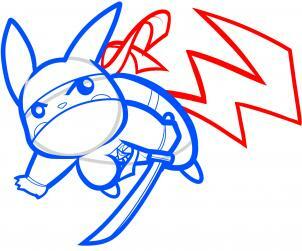 And finally, finish ninja Pikachu by drawing his electrifying tail, as well as the ties behind his head like so. 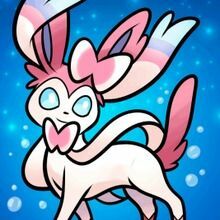 Erase your mistakes as well as your guides. Here is what your drawing looks like when you are all done. 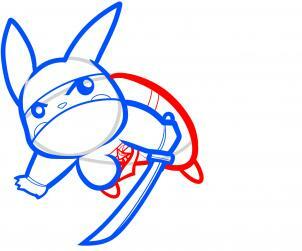 Now you can get busy coloring in ninja Pikachu to your liking.